There is a severe shortage of radiologists; a mere 10,000 radiologists serving a population of more than a billion. There is also a lack of robust tools in India's healthcare market, which results in subjective interpretations, often leading to ineffective diagnosis and subsequent treatment as well. There is a strong need to improve both; accuracy and efficiency. Physicians today spend a large amount of time in carrying out complex analysis tasks that are required for cancer care. Given the severe shortage of expertise, there is a strong need to improve accuracy and efficiency. Predible's solutions' empower physicians to uncover data-driven insights and provide high-quality, personalized cancer care. Predible Health has developed a deep learning-based platform for analysis of radiology imaging applied to oncology. Their proprietary algorithms can accurately interpret CT, MR and PET images for detection of cancerous lesions as well as derive additional insights on them. Such additional insights are based on radiomics which enable physicians to gain insights that aid physicians to characterize diseases, plan and deliver personalized treatment. Predible currently has two flagship products; PredibleLiver that assists surgeons with precise planning for Liver Transplant and Tumor Resections, through instant analysis and 3D visualization of liver lesions and hepatic structures. It’s second product is PredibleLung, that helps in interpretation of lung nodules from CT images, enabling quicker detection and improved assessment of malignancy. Since inception, Predible Health has processed over 2 million images to train its deep learning algorithms and bring them to up to clinical accuracy. By December 2020, the company is aiming to scale this to 500 million images to bring accuracy of their products to levels that can match humans in any scenario. 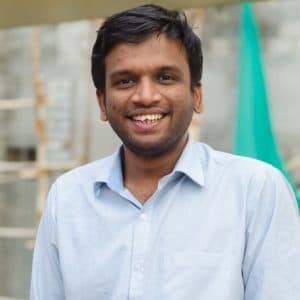 Suthirth graduated with a B.Tech and M.Tech in Engineering Design from IIT Madras, and had a brief stint at Philips Healthcare in Pune. He heads overall product development and strategic partnerships at the firm. 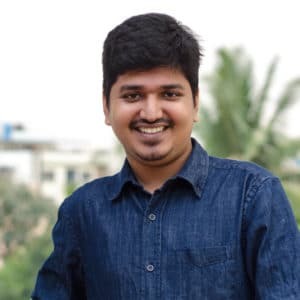 Abhijith Chunduru also graduated with a B.Tech and M.Tech in Engineering Design from IIT Madras, and had a brief stint at Philips Healthcare in Pune. He heads the deep learning and image analysis team at the firm. 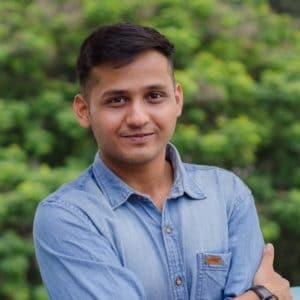 Deepak Mohan graduated with PGDM from IIM Ahmedabad and did his B.Tech in Mechanical Engineering from IIT Madras. He heads market development and commercialization of Predible products.